We were delighted to join Dr Brian Alverson for his lecture “Death, Dying and Beethoven” as part of the Cogut Center’s Creative Medicine series. Dr Alverson’s engaging lecture was a moving and insightful exploration of illness and recovery through the lens of Beethoven’s music. It was a standing room only event with a diverse audience of doctors, med students and community members. How fortunate am I? 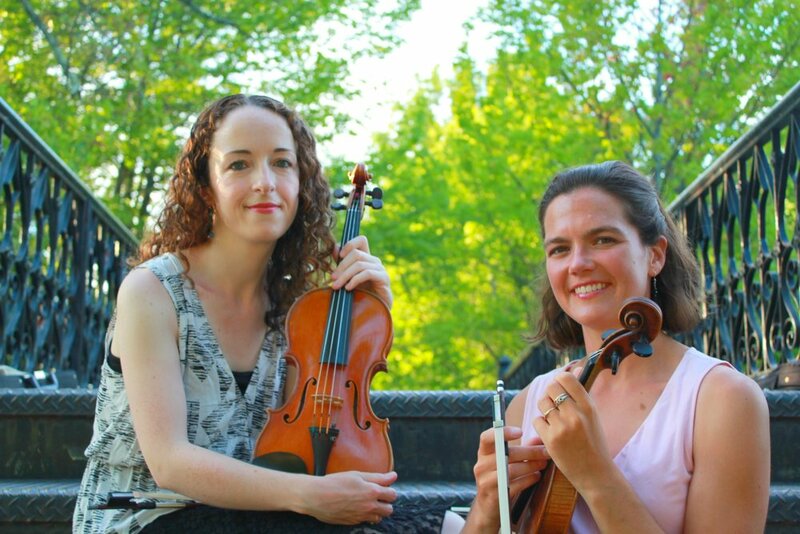 Each fall, Ealain, Emmy, and I spend a week in Boscawen, NH, preparing a string quartet program to bring back to Newport, usually with Ealain’s husband Jesse Holstein playing viola, when his schedule permits. 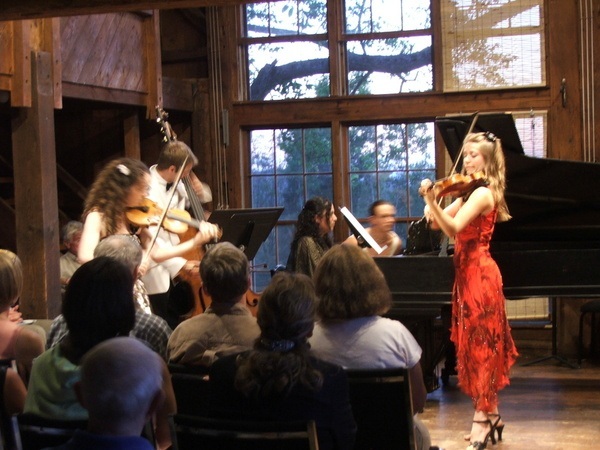 This is our sixth time returning to the Avaloch Farm Music Institute. The idyllic property includes a cluster of three barn-like buildings, specifically designed to host a diverse array of chamber music ensembles. Our surroundings are pristine yet still rustic, with seemingly friendly cows gazing at us from the other side of the low stone wall that marks the edge of the farm’s property. The only sounds we hear, other than our music making, come from the nearby fields being mowed. In keeping with our quest to learn and perform all of the string quartets from Beethoven’s late period, we have decided to tackle his String Quartet in A Minor, Opus 132. This 45-minute work, in five chapters, includes an iconic slow movement, a piece of music of uncommon emotional vulnerability, composed as Beethoven was recovering from a serious illness. DAY 1 is about reading through all five movements and feeling pleased by how much we can already take for granted. Three of us have had the opportunity to play the piece elsewhere, and we’re off to a quick start. 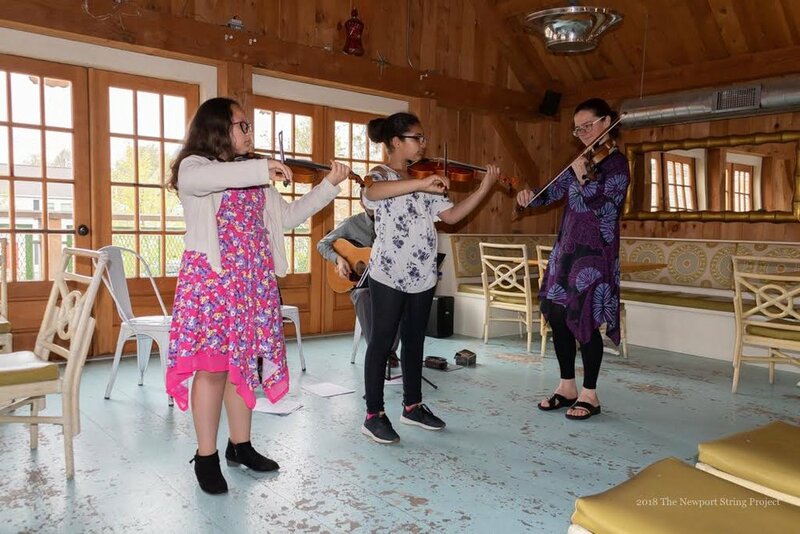 We also meet the other resident ensembles, including a cello and piano duo, a flute and guitar trio, and another string quartet. DAY 2 is when we begin to inspect each movement more carefully. We start to notice unusual instructions and markings that Beethoven carefully wrote in the score. Were they really there the entire time? How do we effectively communicate what Beethoven intended? By DAY 3, we are having a different conversation in our rehearsal studio. It’s about making meaning, being present, and capturing the elusive sensations of togetherness and shared intention. Jesse reads aloud a favorite quotation by Mildred Portney Chase: "It is impossible to be self-conscious and totally involved in the music at the same time... As I forget my own presence, I attain a state of oneness with the activity and become absorbed in a way that defies the passage of time." That evening, we listen to two of the movements that we are working on performed by one of the other resident ensembles, the Solera String Quartet. They sound fantastic, as they should. They are here for a final tune up before their Carnegie Hall debut next week. After the concert, we scramble back to our rehearsal room, both inspired and a bit intimidated by their beautiful and topnotch performance. DAY 4 arrives and we start the morning a bit grumpy, perhaps realizing that, just as we begin to understand the elephant that we are uncovering (do you know that famous parable about the blind man and the elephant? ), the end of our time together at Avaloch Farm is drawing near. Fortunately for us, the potential for any serious disagreement in rehearsal is quickly smoothed over by plenty of laughter. Our first run-through goes well. We debrief afterward and fix a few rough spots before our rehearsal devolves into an uproarious imagining of ordering Dominos Pizza to be delivered at dinnertime. This is truly a laughable idea because the food here is incredible; each meal is its own work of art. DAY 5: We decide to record ourselves using an iPhone. This is always the moment of truth. It turns out—and this shouldn’t surprise me, but it always does—that many of the expressive ideas that we are trying to showcase actually interfere with the overall flow of the music. Ealain gently reminds us that, in the words of the revered violinist Pamela Frank, "you can't stop to pick every flower." Becca Fischer, another Avaloch resident and former first violinist of the recently retired Chiara Quartet listens to us play through each movement and gives us really helpful feedback. Opus 132 is a work that her quartet performed last year during its final (18th) season together. As my final evening at Avaloch Farm approaches, Emmy and I set off to explore the nearby lake, bathed in the warmth of the setting sun, in a canoe. There’s still time for one more scrumptious dinner, a second performance by the Solera Quartet and some late-night fine-tuning in our rehearsal studio before I depart on Saturday morning. A perfect close to the week. The back-to-school season can be an exciting time of new resolutions and possibility. And it can also present some challenges for students, families and teachers. In the mosaic of the first few weeks, we have certainly had some challenging moments but there have also been some inspiring highlights. One student turned up for her first lesson of the year and was uncertain that she wanted to continue. She was feeling very discouraged about the challenges of learning to play the violin. However after just a little bit of review, her mood and confidence soared as she realized how many of her skills were still in her fingertips because of how hard she had worked last year. Another student spontaneously started to explore the question of how to take a piece of music by Bach and how to make it your own or make it relevant to a new audience. Inaugural behind-the-scenes gatherings this fall! Two significant behind-the-scenes moments occurred in recent weeks. The first of our monthly all-staff meetings gave us an opportunity to officially welcome Gillian, Zan and our new administrator Hannah to the project. It also gave us an opportunity to begin the conversation about how to develop a staff culture that aligns with our mission and values. Alongside juicy discussions exploring the Newport String Project’s approach to building community, equity and access, we anticipate coffee and pastries being a regular feature of these gatherings. Another milestone occasion was the Newport String Project’s inaugural Board Meeting. Building on the rigorous work of last year’s advisory committee, the project has now transitioned to having its first official board. Newport arts leader, Dominique Alfandre leads this dynamic group including Marilyn Warren, Garry Fischer, Marla Pyle and Heath Marlow. It has been our great pleasure to launch our concert season at the Newport Art Museum for the last several years. This concert showcased chamber works by Haydn, Shostakovich and Schulhoff. The concert also presented the opportunity to hear Iranian composer Mahdis Golzar Kashani’s Faghaan against the evocative backdrop of The Shape of Birds exhibit, focusing on contemporary art from the Middle east and North Africa. We are delighted to introduce the Newport String Project’s first administrator, Hannah Leheny. Hannah Leheny was born and raised in Providence, Rhode Island. After studying journalism for two years at the University of Connecticut, Hannah came to realize her true passion was in social justice, community building and anti-racist work. Hannah then decided to finish her undergraduate studies at Lesley University in Cambridge, MA, earning a degree in Sociology and Social Change. During this time, Hannah interned at several non-profit organizations that serve homeless and low-income individuals in the Greater Boston area. Connecting with clients, as well as working behind the scenes in administrative roles, were areas in which Hannah thrived, and set the stage for the type of work she would aspire to do for the rest of her life. Moving back to Rhode Island post-grad, Hannah also believes in the importance of being immersed in ones community. She is persistent in keeping tabs on the art, music, grassroots and non-profit organizations in her area. As the newest staff member of the Newport String Project, Hannah is excited and hopeful about her role as Administrator, and looks forward to becoming a part of this invaluable network. A festive close to season five took place at the Newport Art Museum featuring string quartets by Beethoven and Borodin. Many thanks to Jack Renner for these terrific images. Many thanks to our friends Jack Renner and Mary Renfrow for these images of the young musicians in action! 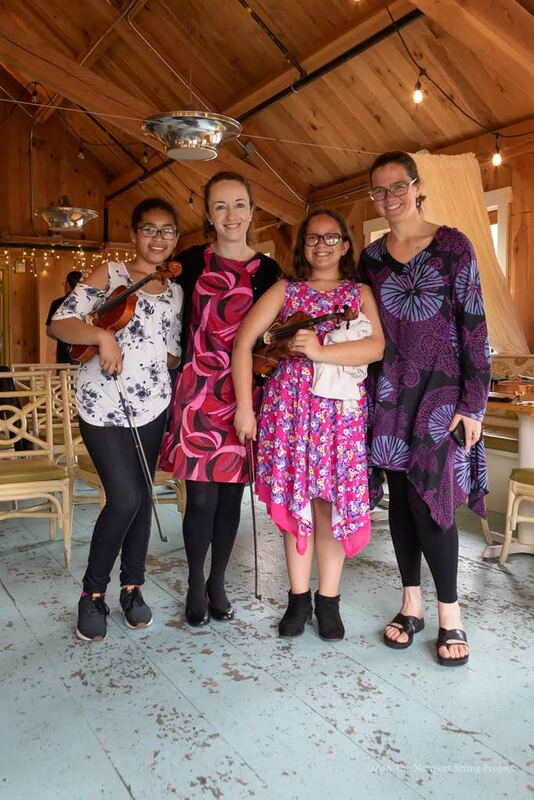 It has been a remarkable fall at the Newport String Project! Over the summer, we were fortunate to be able to hire two wonderful colleagues, Ashley Frith (viola) and Jaime Feldman (cello). Now with a full complement of four musicians, we are performing and teaching as the Newport String Project’s first quartet-in-residence, the Newport String Quartet. Only three months into our fifth season, we are experiencing the positive impact of this change in many exciting ways. In sharing the following highlights, it is important to emphasize that these programs are made possible by the generosity of supporters like you. We hope that you will consider making a donation this month to help make possible our fifth year of creating inspiring and accessible musical experiences for all. 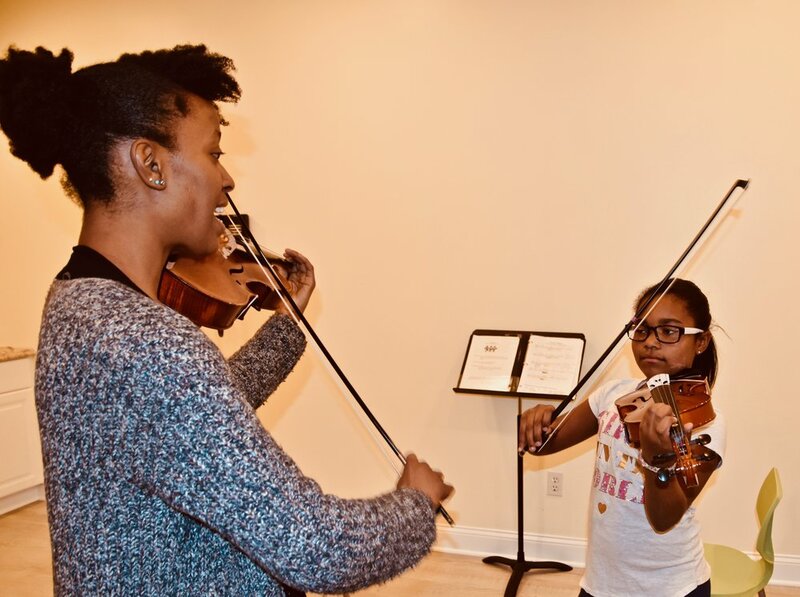 Our free after-school music programming at the MLK Center is thriving. With the addition of Ashley and Jaime, our enrollment jumped to 39 students who participate in twice-weekly lessons. For the first time, we can offer cello lessons, meeting our goal of offering instruction in all the instruments of a string quartet. And a Very Young Musicians class, led by Jaime, is engaging an additional 15 preschoolers in a curriculum of movement, dancing and singing. Due to our increased capacity, more children than ever before are benefitting from one-to-one mentoring, increasing the amount of individual attention for each student. Students are even getting their first taste of chamber music, working together in small groups. Alongside our busy teaching activities, the Newport String Quartet’s performing life has also had a busy start. 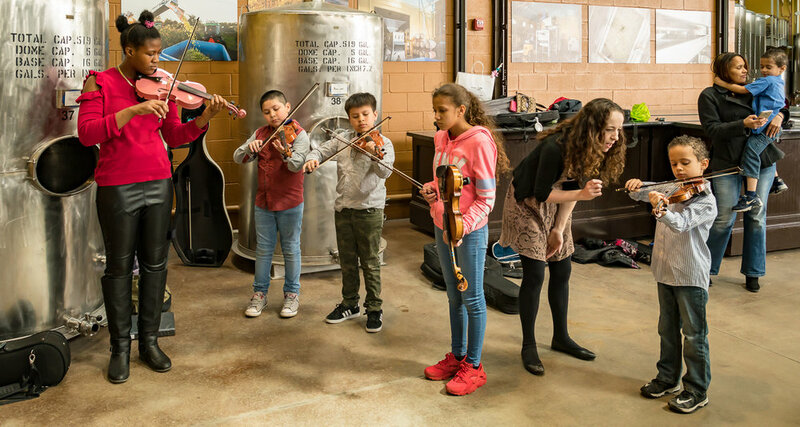 From outdoor performances at the Broadway Street Fair to more traditional concerts at the Newport Art Museum and Trinity Church, we are digging into the question of how a string quartet can play a meaningful civic role in Newport. There is still time to catch the Newport String Quartet in action in 2017: Please join us on Sunday, December 17th at 3pm at the Redwood Library for a vibrant program of works including Mozart’s sublime String Quintet in D Major, K. 593 and Prokofiev’s evocative String Quartet No. 2. 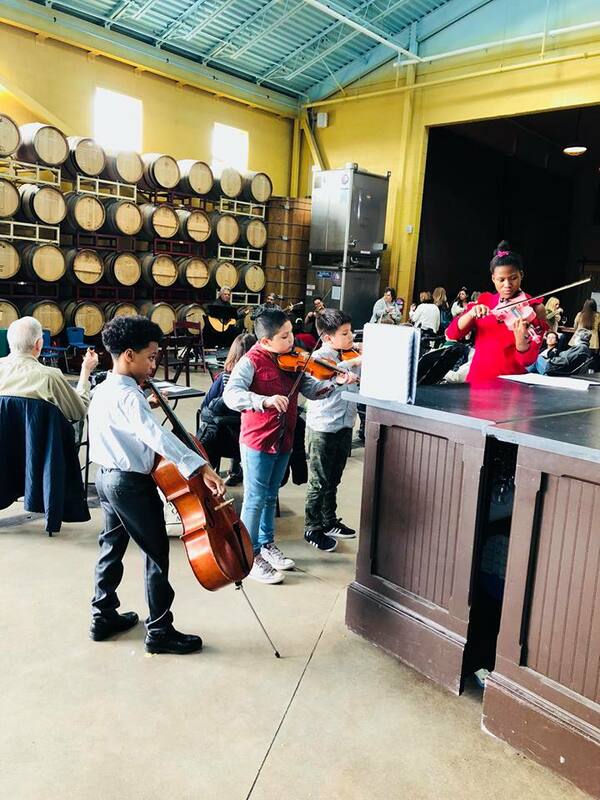 We also want you to know that, behind the scenes, we are hard at work developing plans to bring the Newport String Project into its next phase of organizational development. A five-member advisory committee is supporting us to become our own 501c3 nonprofit organization in 2018, increasing our infrastructure and building a board of directors. Thank you for your enthusiasm for our work—we appreciate your support so much. 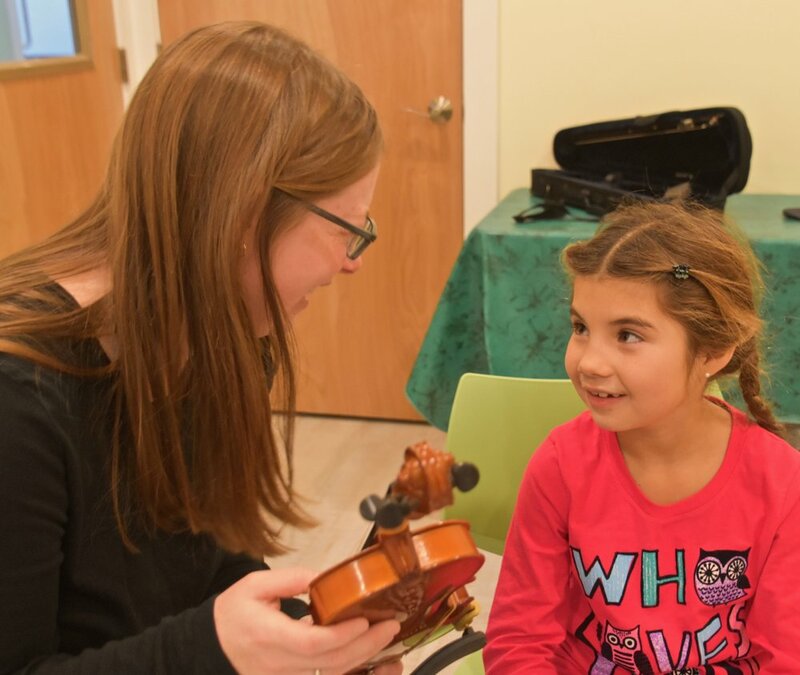 Please consider including the Newport String Project in your year-end giving. Donations can be made through our website (www.newportstringproject.org/donate) or mailed to the Newport String Project, 1392 Westminster Street, Providence RI 02909. 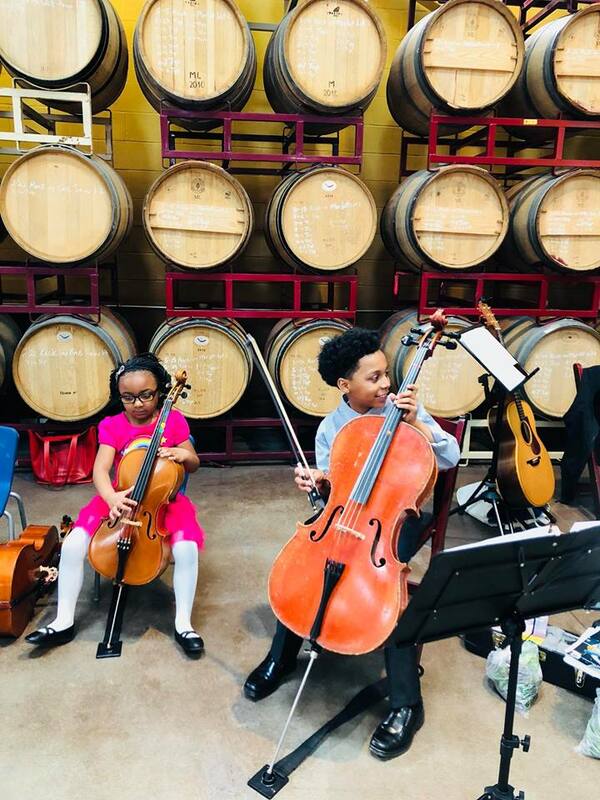 Our fifth season has brought many concrete changes - new students, new staff members, new curriculum elements - and as we reflect on the journey since the Newport String Project launched four years ago, we are struck by the more hidden impact of these changes. This year, we are fortunate to be joined by Jaime and Ashley as Associate Musicians. And while their presence makes a huge difference in lots of public ways - performing as the Newport String Quartet and expanding our student enrollment - we are already noticing the impact in less visible, although still very tangible ways. We see it in the warmth of the interactions between Jaime, Ashley and the families in the program. We also see it though the new games and songs that our students are learning from them. From our perspective as directors, it is also wonderful to have two more people to share teaching stories (and challenges) with - there is simply a sense of having more company for the journey ahead. Our student enrollment is currently at thirty-nine - a significant increase from the twenty-five students in our first year. What that number doesn't reveal is how the recruitment process has evolved since the program's launch. Parents now have a deeper understanding of what the program has to offer and spread the word with other families. The students are eager for their school friends to join and the "sibling effect" has been a powerful factor in inspiring younger brothers and sisters to get in on the action. There is an increase not just in the numbers of students, but also an increase in the complexity of the learning environment. In the first season, students participated exclusively in group classes. Today students are participating in both individual lessons and group classes. Students are making progress at different rates and in different directions. Providing responsive teaching is demanding, rich work that requires significant planning time. We are also noticing a beautiful deepening of parent engagement. More parents than ever are staying to watch the lessons and are highly motivated to know how they can help their child practice at home. Perhaps most striking of all has been a shift towards a sense of pattern, routine and ritual. It is especially exciting to see how the students who have been with us since the beginning, are spontaneously making the experience their own. Every Newport String Project day is jam-packed with tiny moments, successes and details that remind us of the importance of embracing the twists and turns of long-term journeys. Change seems to follow a cycle of happening "bit by bit", seemingly "not at all" and then magically "all at once". This season has a little bit of that "all at once" energy. 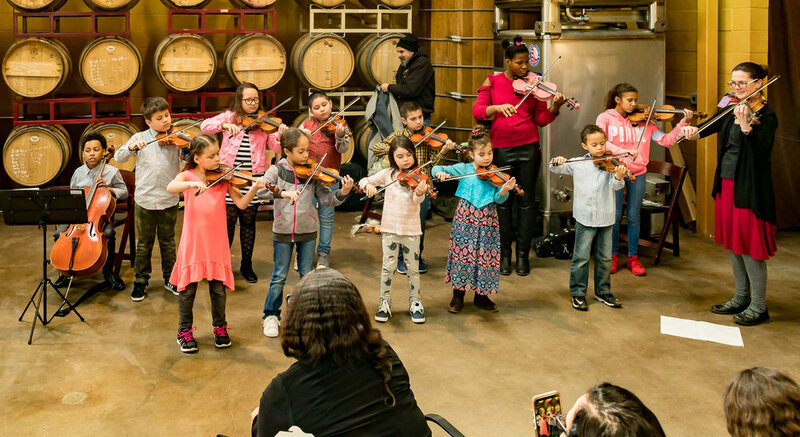 We hope to continue to share perspectives from students, parents and audience members throughout the year on how the Newport String Project's work is evolving for them. If you would like to support our mission, please consider making a gift through our Donate section.